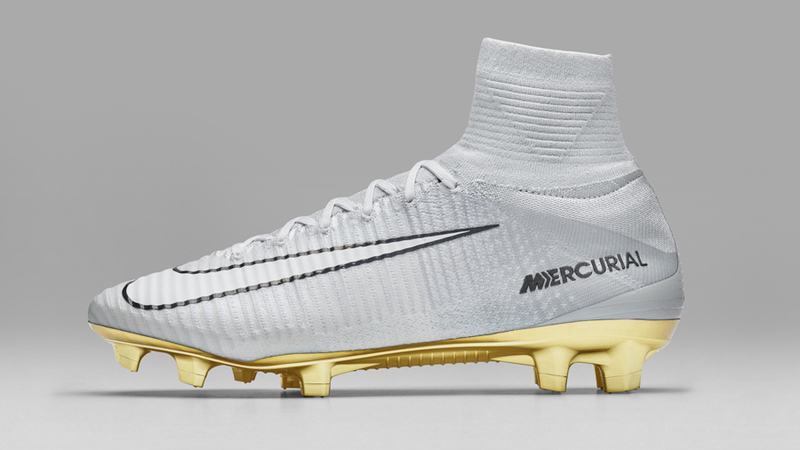 The limited-edition Mercurial Superfly CR7 commemorates Cristiano Ronaldo’s achievements with his club and country in 2016, including his fourth Ballon d’Or, the UEFA Champions League title, and the UEFA Euro 2016 championship. The “Vitórias” boot upper and its signature speed ribs feature a Pure Platinum upper with a subtle blue metallic shine and an elegant fade from heel to toe. 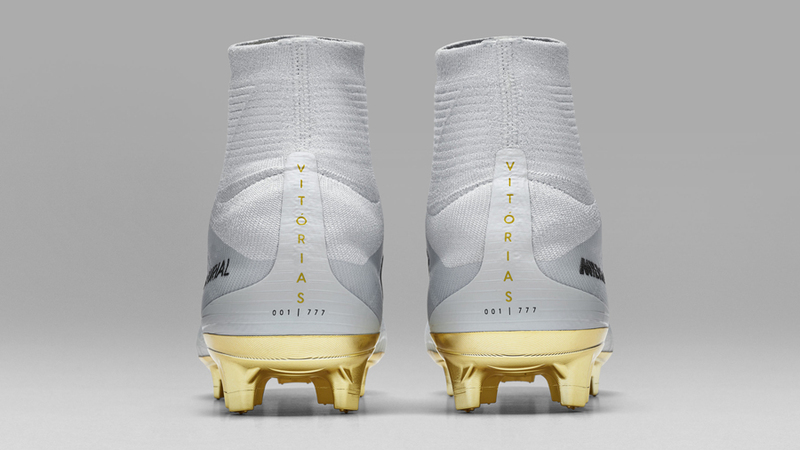 The metallic gold plate is a nod to the gold trophies Ronaldo won last year and the heel graphic reads “Vitórias,” the Portuguese word for victories. 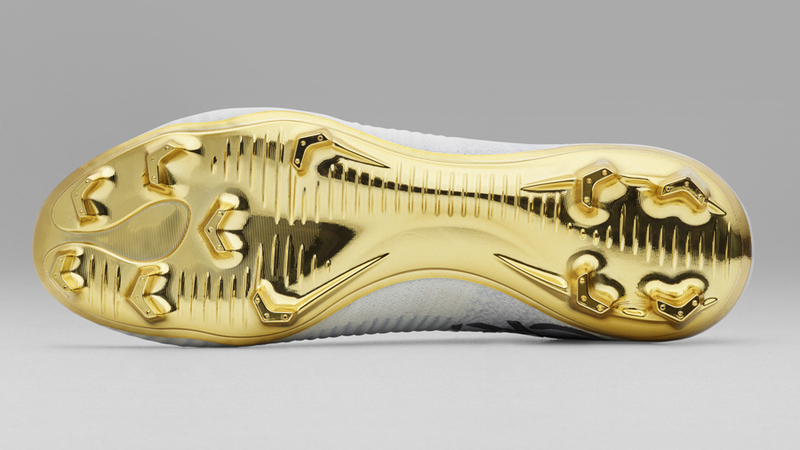 The CR7 logo and Swoosh are highlighted by an iridescent shimmer. 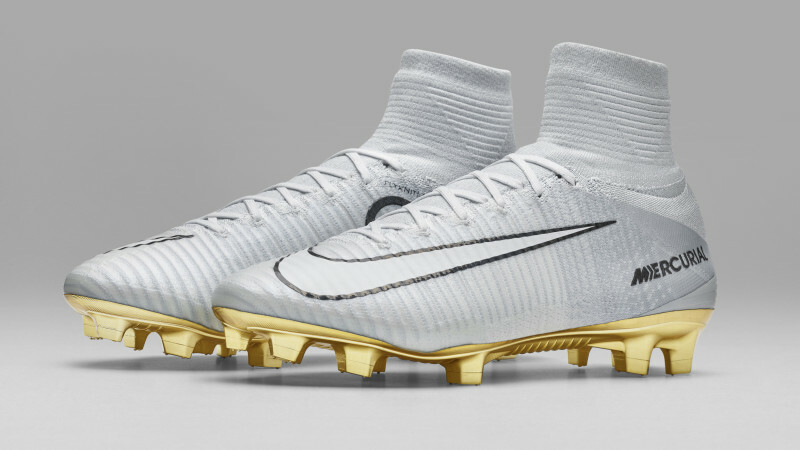 Nike has created 777 pairs of individually numbered Mercurial Superfly CR7 Vitórias, which were made available on nike.com and select retailers in early 2017.